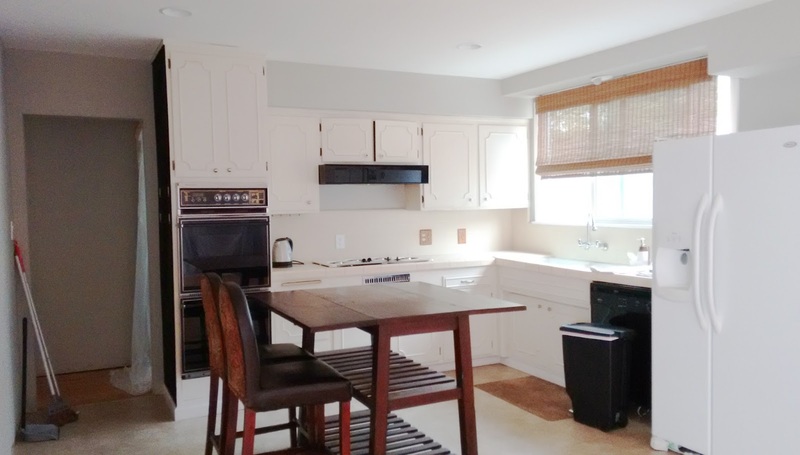 Our kitchen remodel has been on our renovation wishlist since we closed escrow in May 2013. The remodel is finally here, and we couldn't be any more overwhelmed excited about it! 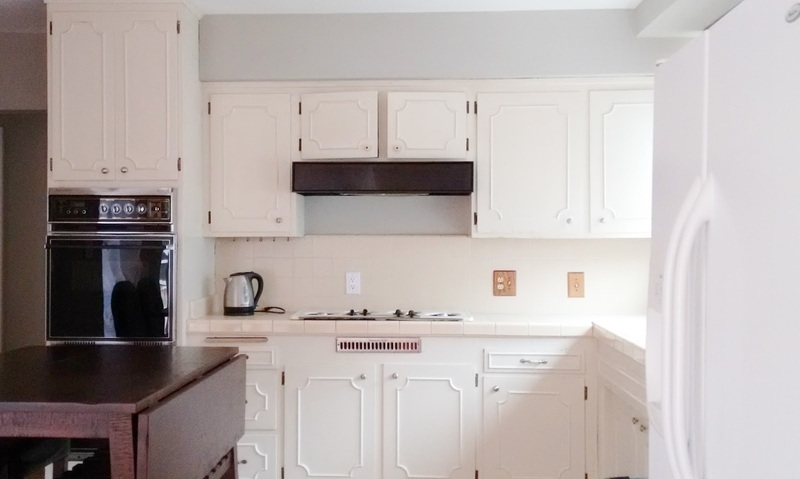 Before I share the new design, I wanted to show you some "before" photos of the old kitchen. Here are a few pics that I snapped just hours before demolition. 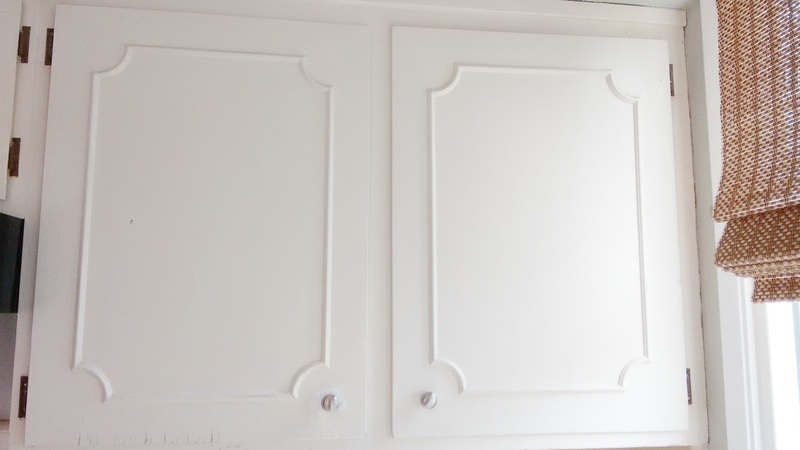 We lived in our home for two full years before tackling the kitchen renovation. Although frustrating at times, we made this time-capsule of a kitchen work while saving up and planning for the remodel. 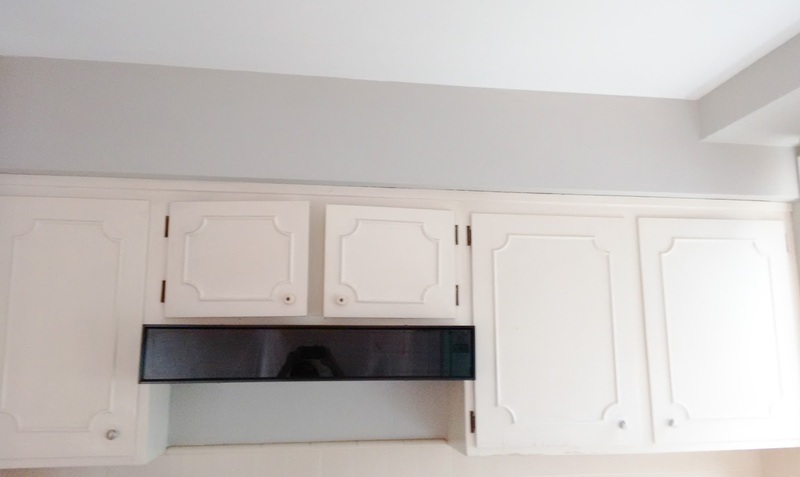 During the initial renovation, some cabinets were demolished, the ceiling was smoothed, wallpaper was removed, and recessed lighting was installed. 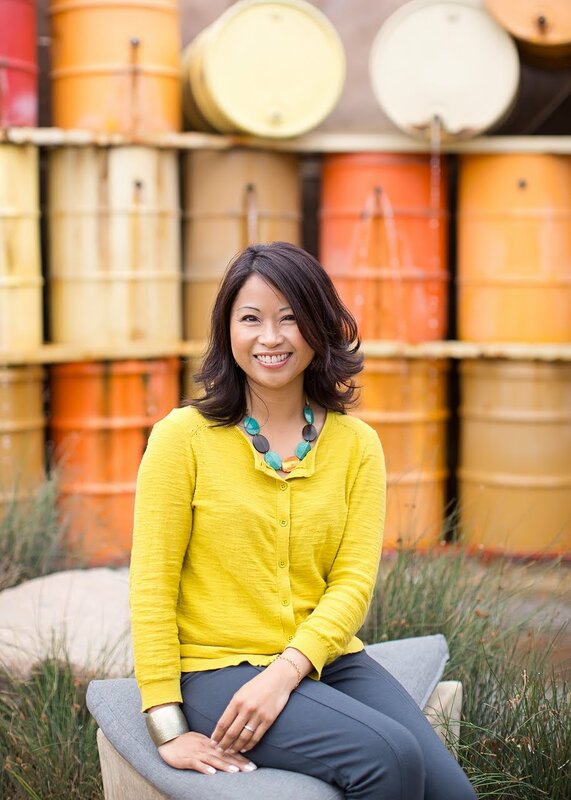 If possible, I think it's important to live with your kitchen for some time in order to understand how you really use it, how it flows with the rest of the house, how to improve its function, and how to lay it out when it comes time to remodel. Trust me, I understand it's tempting to just dive right in, but an extensive kitchen renovation is not something you should rush into. It is a challenging and expensive process. Obstacles may be inevitable, but with improper planning, it may prove costly. 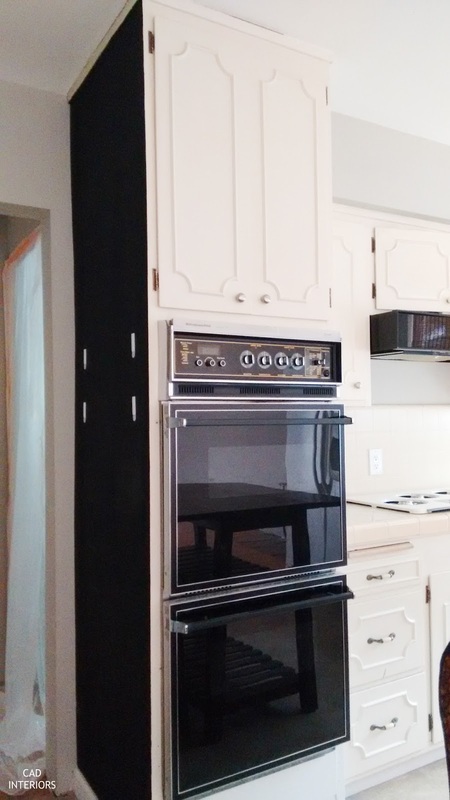 When we purchased our home, we knew a full kitchen renovation would be required. 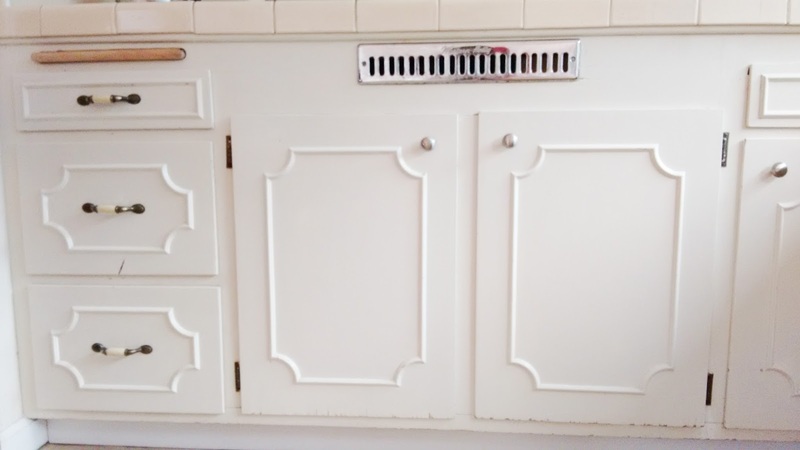 The original 1955 cabinets were on its last leg. Refacing would have been much more economical, but unfortunately, the cabinet frames were in really rough shape. I actually painted the side of this cabinet with black magnetic paint. I used the area to put up our "family calendar". Certain appliances, like the double ovens and dishwasher, were also not working. 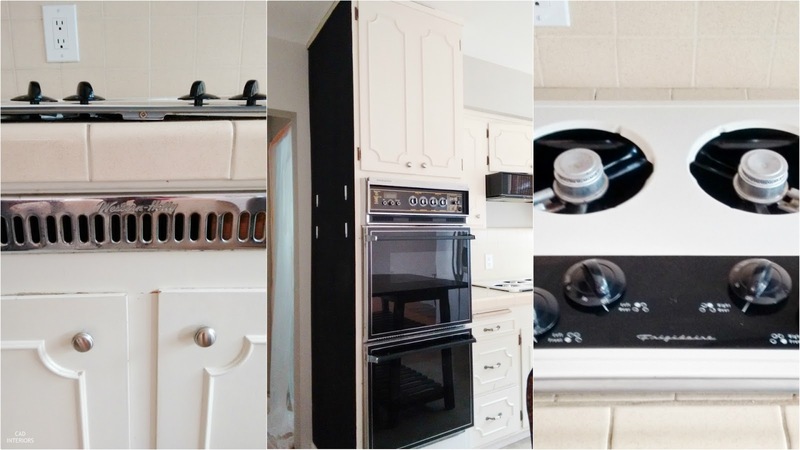 We didn't bother to make any short-term fixes, like painting the cabinets or repairing the appliances - although I did change the knobs. We got by with a $50 second-hand gas cooktop, a $40 toaster oven, and a hand-me-down refrigerator left by the previous owner. We washed dishes by hand for two years, which was no big deal, except during the holidays! Oh the floors... This was probably the biggest eyesore for me. The linoleum was always so dingy looking, despite how much I tried to clean them. 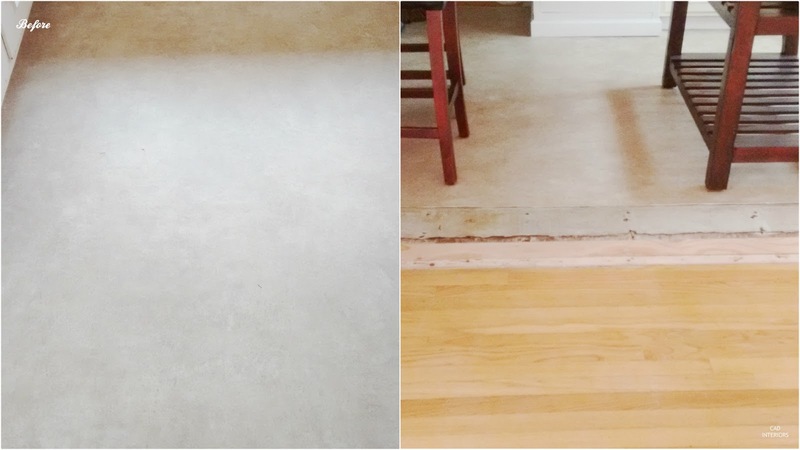 Since we demo'd the kitchen peninsula before we moved in (see photos below), we were also left with the "gap" in the flooring that you see above. 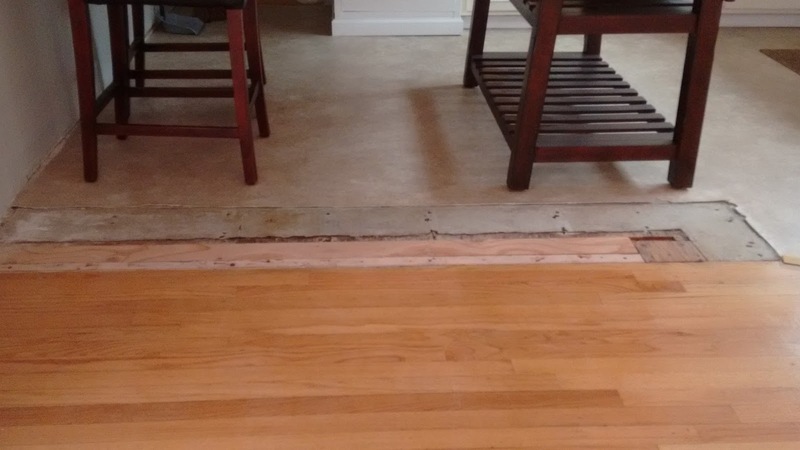 As a temporary fix to prevent tripping, my husband put down some plywood to fill the space between the hardwood floors and linoleum. 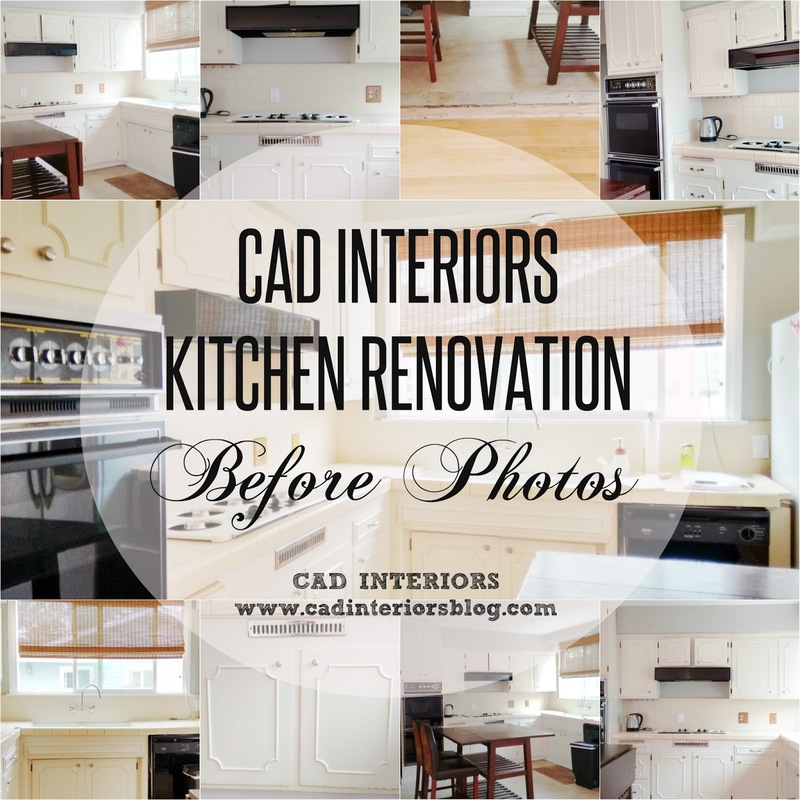 Here are some "before-before" pre-blog cell phone and MLS photos of the original kitchen! Quite the project, huh?! One thing this house has going for it is the floor plan. 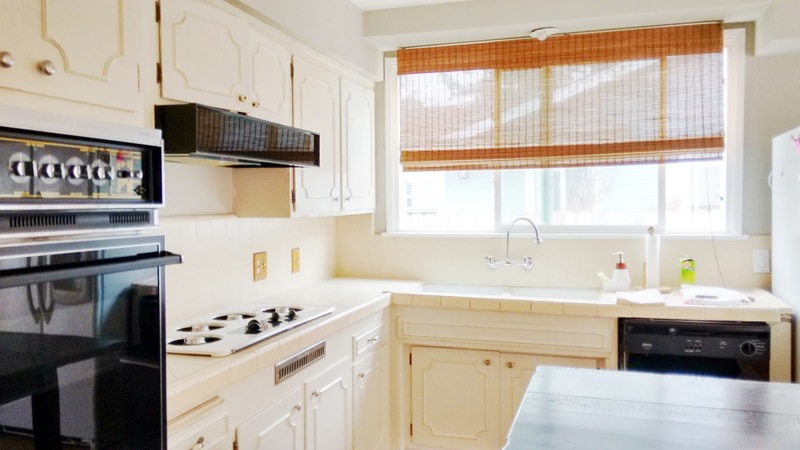 We were able to see beyond the old dated finishes, and envision a kitchen that would work within the existing layout. Two years later, we are finally on our way to executing our vision! That is a great space! I can see it needed a lot of work, even more than we had to do. Great idea to remove the peninsula and open the room more.